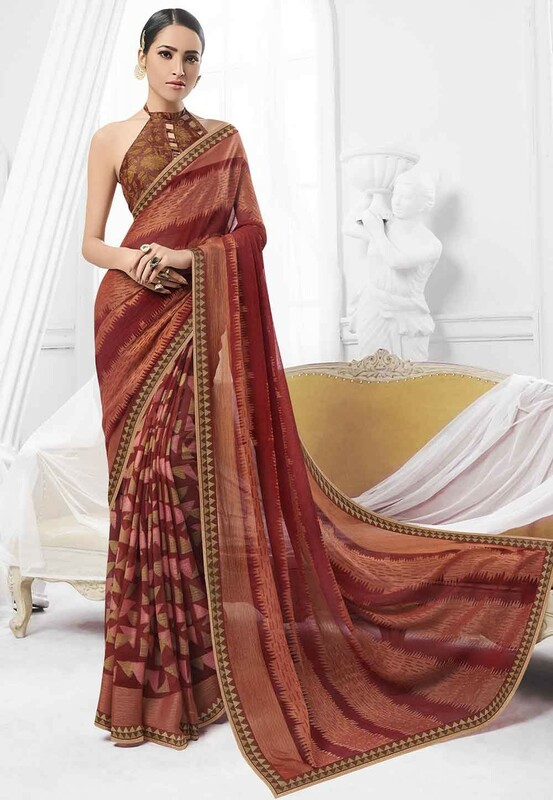 You are sure to make a impressive fashion statement with this Brown Colour Chiffon,Brasso Fabric Saree. The attractive Printed work through the attire is awe-inspiring. You're reviewing: Brown Colour Printed Sari. Pink,Beige Color Indian Wedding Saree. Off White Colour Printed Salwar Kameez.